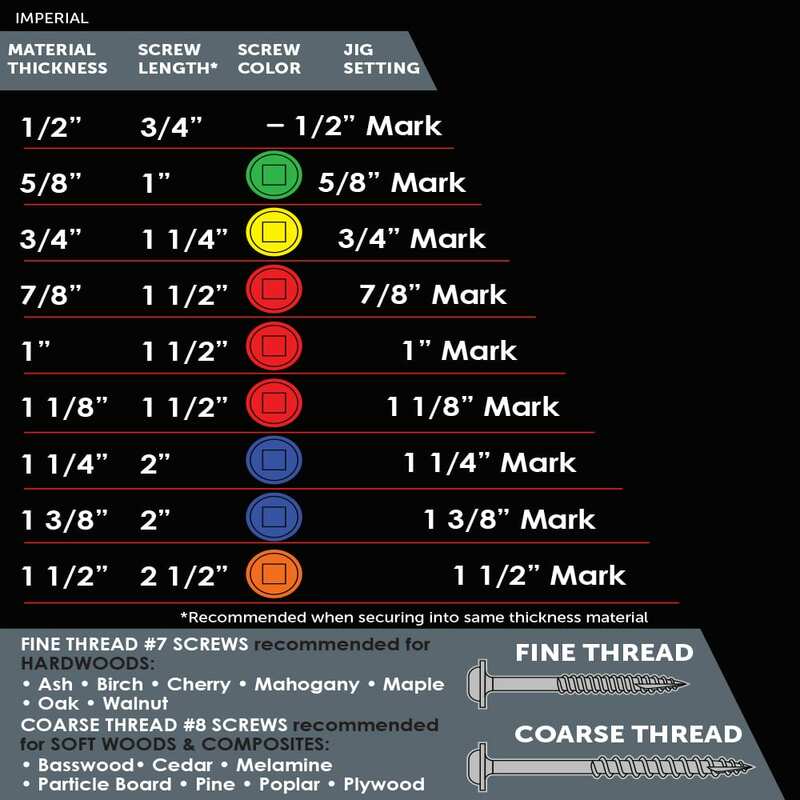 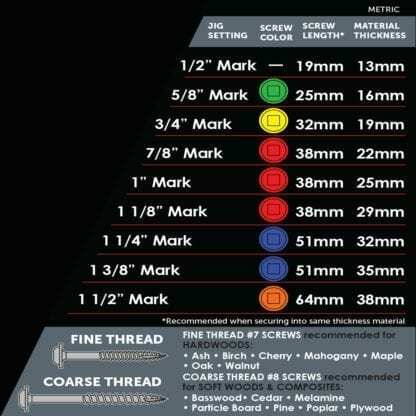 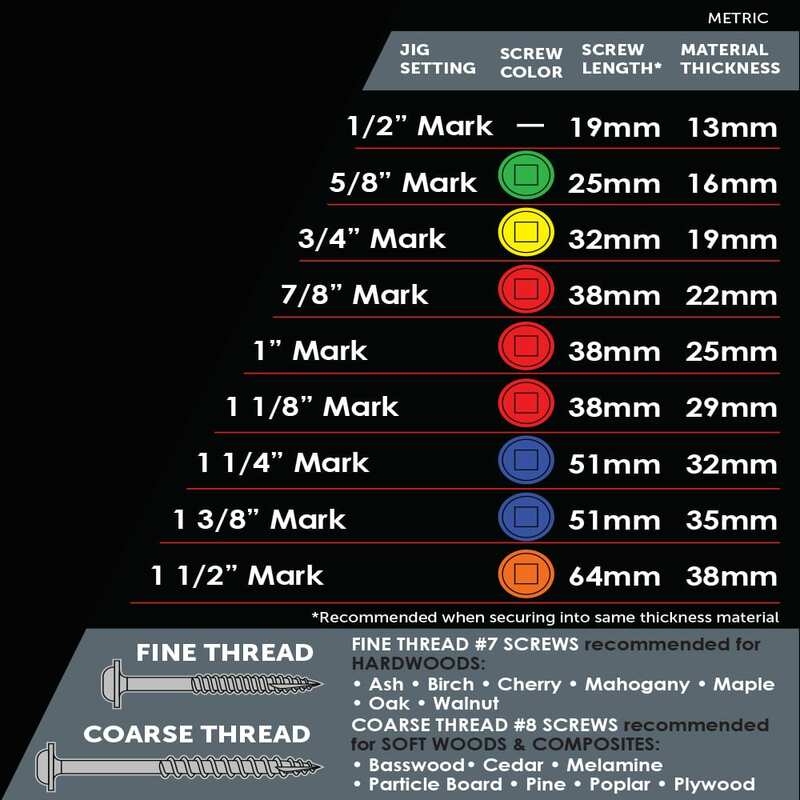 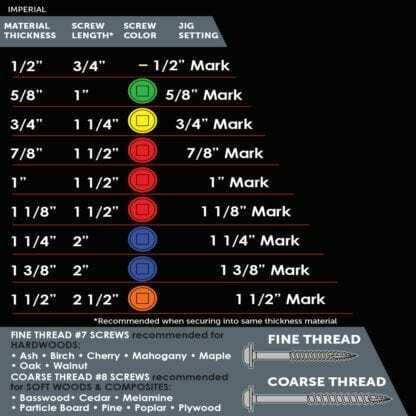 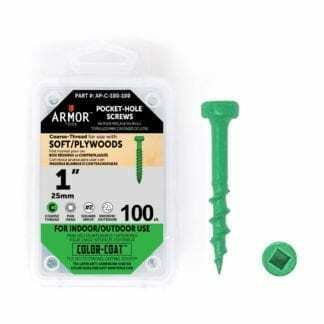 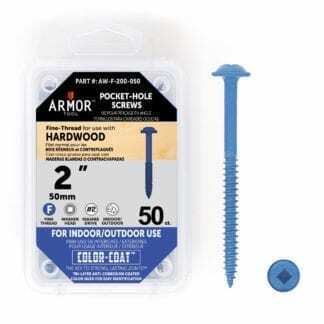 The Armor Color-Coat screws are the perfect fastener for any project. 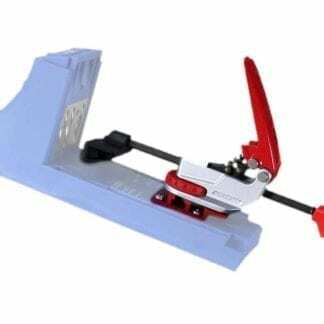 A color-coded system differentiates screw length and matches it to the exact material thickness shown on the self-adjusting guide block, providing you the strongest pocket hole joint possible. 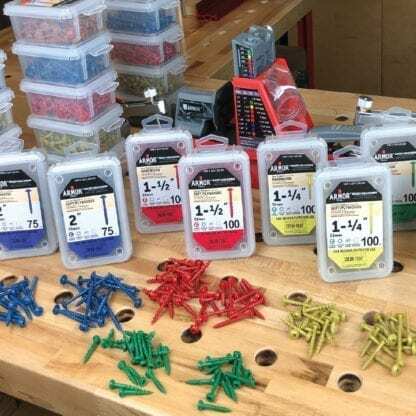 The Color Coating also assists in reducing corrosion, making it a good choice when building outdoor projects.